Clipping, editing web contents and annotating them are common tasks in our daily lives. Either we copy text and paste them to a file or we take screenshots from the web page and edit them. All these can be accomplished with Nimbus Web clipper which is compatible with Google Chrome. 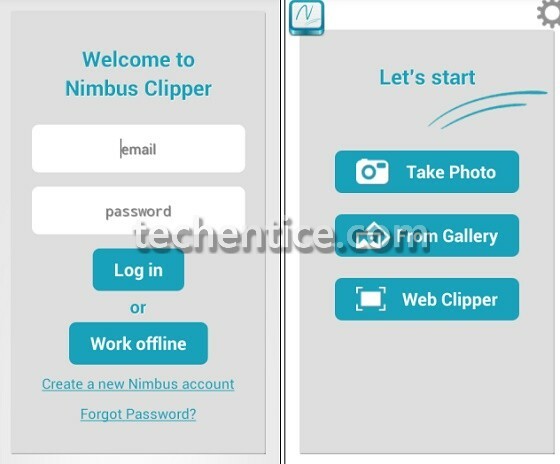 Nimbus clipper is the app in Android Play Store which performs all the above mentioned functions and let you upload the data into a Cloud or just save it for future use. The app, when installed first suggests you to sign in with your Nimbus account. Sign up if you do not have a Nimbus account. Logging in by your Nimbus account allows you to sync your snippets to the cloud service, but if you just want to save the content offline for future reference, you can skip it. 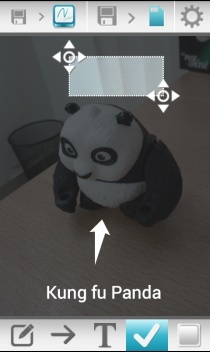 The home screen has three options: Take Photo, From Gallery and Web Clipper. For creating web snippets navigate to ‘Web Clipper’ section and browse websites using Nimbus’ integrated browser. Save the entire web page, the article or a screenshot of the visible area. Now you can insert annotations and editing options. The app is a new arrival in Android market and has scored 3.3 out of 5 stars.